Here is the new album from vocalist MLK, an eleven-track analogue reggae album firmly in the roots reggae tradition. MLK takes us through a selection of original tracks and some revisiting of lesser known tracks from Lee Perry’s Upsetters house band, with new vocals and with renewed inspiration. Originally from Sierra Leone and currently based in Amsterdam, songwriter and artist MLK provides some serious reggae music informed by mainstream roots history and delivered with commitment. Authenticity is the word. Released on vinyl and on digital download, the latter includes four dub versions not included on the vinyl album. Great music. MLK and the Breadwinners: the World is in Trouble, release on vinyl and DDL, October 2017. From Polish producer Dreadsquad (Marek Bogdanski) here are some serious reggae/dancehall rhythms in the form of a fine digital release alongside a two-volume vinyl alternative. Confusingly it’s a riddim collection with vocals – from a variety of guest artists. 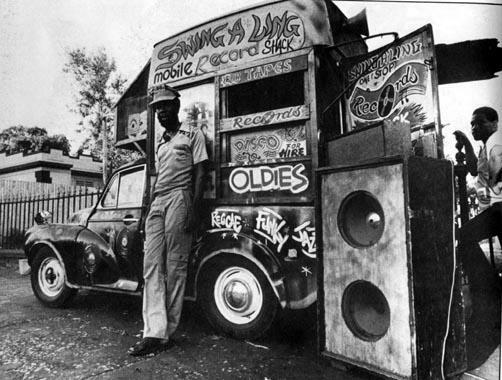 Volume 2 is at different points melodic vintage reggae, dancehall, electronic, and good old-fashioned dub. Volume 3 begins energetically and continues in similar style throughout. Worth catching. From new independent label Konquerin Soundz Recordings comes this six-track collection based on one rhythm track, with an upbeat but sometimes angry take on life. The Leaderz Riddim takes its title from Bristol based-Da Fuchaman’s “So called Leaders” (included here) and is a dismissive but worthwhile view of those who style themselves as our leaders. Other tracks range from Gappy Ranks’ “Conquering Lion” to Tenna Star’s “Stand for Life”, YT’s “Optimistic”, Mowty Mahlyka’s “In the City” and Blackout JA’s uncompromising “No Justice”. Konquerin Soundz are a Reggae/Dancehall vinyl soundsystem based in Cornwall, and have been generating full-onsounds around South West England for twelve years. This compelling dancehall-based sound is a great way for the label to make its mark on contemporary reggae. “This collaboration with Beenie Man is a dream come true for us. He’s been a source of inspiration in our music style and we are so privileged to have had the Legend and Dancehall King Beenie on this track. The track showcases our Ragga dancehall style which embodies the unique sound of our music”. Reggie ‘n’ Bollie have had a good year thus far, having been appointed as “Ghana Tourism Ambassadors for UK & Europe” and also winning the “Best UK Music Artist Award” at the 2017 IARA Awards (International Achievements Recognition Awards). This full-on dancehall sound should help to establish their authentic reggae credibility after their TV talent show past and their troubled history with a mainstream label – and the contribution of Beenie Man seals the deal.